You may be in a space where you’re asking yourself, “Where am I going? What am I doing?” after a period of unwinding and reviewing as we enter the final week of August 2018. The summer has flown (or dragged…). We have a beautiful Full Moon in Pisces on Sun morning which speaks to Divine Love, dreams and unlimited realities. Remember, your reality is based on your beliefs. If you see limitations where you desire freedom, the solution is learning to shift beliefs that tell you “no,” and to implement practical systems that will enable you to create what you desire. Inner and outer work is required – and it’s all doable. For real. But commitment is required. The Full Moon in Pisces highlights compassion, empathy and feelings, along with practical service for the Greater Good. This is a good time to clean up your act and your life. Bad habits that need to go? You can only really be of service if you take care of yourself. Sacrifice and martyrdom are lower expressions of Pisces. Don’t go there. Rather, dream big and know that you have a unique purpose here on earth you came to experience. We have a Grand Trine (major flowing aspect) in Earth this weekend, which will ground and support your intentions and actions to make practical changes. The Sun in Virgo, Saturn in Capricorn and Uranus in Taurus are all at 2º this weekend. Virgo is focused on order/details, Saturn is grounded and stable and Uranus creates change with innovative ideas and solutions, wanting to go beyond old methods and boundaries. This is a time of creative balance between the old and new, where you can make room for new beliefs, goals, objectives, people and interests. If you’ve been hanging onto a job, relationship, or anything based on security that you’ve outgrown, this energy can give you the impetus to be willing to make a move. The goal is creative change without destabilizing your life. If you’re in rut, focus on creating something to honor your Authentic Self, which will become more doable after Mars (action) turns Direct on Mon, Aug 27 and it begins to pick up steam within a few weeks. Your genius is waiting for an opening to come through, so don’t dismiss your bright ideas! Mars went Retrograde from free spirit Aquarius back into serious Capricorn from mid-Aug where it will stay until Sept 11. During this time you can restructure elements of your life that aren’t working or make plans for action from mid-Sept onward. Get ready for a week of shifts that will open up energy to allow for new realities and forward movement. 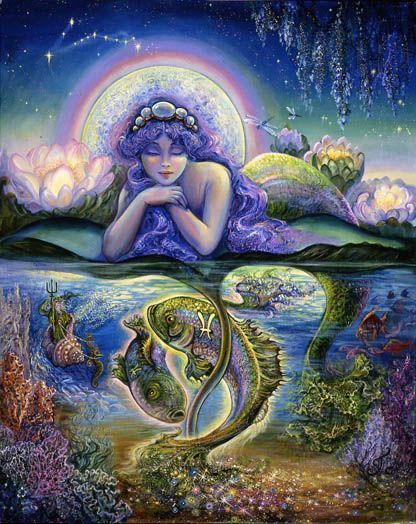 Enjoy the Pisces Full Moon and Grand Trine in Earth. The Universe supports you and as we move into September – and life will be changing again.